Guatemalan coffee is known for being flavourful, well-bodied and possessing a variety of different aromas, notes and acidity based on the region it was grown in. 98% of Guatemalan coffee is shade-grown. Huehuetenango is one of the non volcanic coffee producing regions of the country. Due to its topography, there are multiple micro climates which are perfect for coffee production, giving the coffee nice fruit notes. Finca Joya Grande was established in 1976 as a very small coffee plantation operation. Access to the farm at that time was very limited and fertilizers and nurseries had to be transported by horses. Given the farm’s topography, coffee is the only agricultural product that can be planted but with the advantage of a superb quality production. 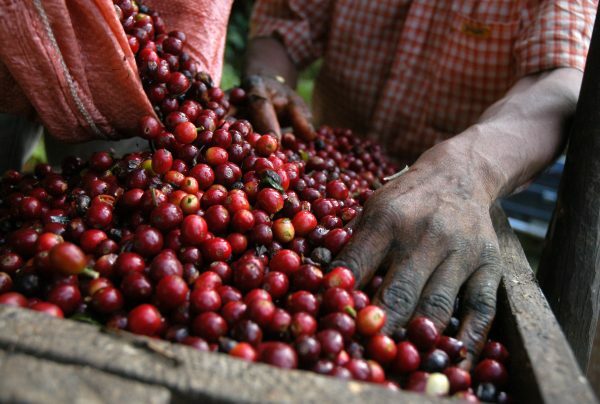 All coffee pulp resulting from the wet mill process is utilized as organic fertilizer. The farm works under a strict shade-grown policy and also has forest conservation areas that provide shelter to many native fauna and flora species. Finca Vasquez was established in 1980 when Don Jose Vasquez moved from Colotenango to the coffee lands La Libertad, Huehuetenango. He moved to this region, looking for better opportunities and placed a bet on his beautiful farm. The current owners of the farm are Genaro and Juan Vasquez (son and grandson of Don Jose). Both of them are quality oriented, keeping the same practices and varietals as Don Jose once did. Finca La Maravilla was acquired in 1997 from an extension of El Injerto II. The property was abandoned, but with dedication the owner and his father converted the land into a beautiful and well-maintained coffee operation. To not cause any environmental impact in the farm, all weed control is done by hand, no herbicides are used. The farm has participated many times in CoE, being ranked in the top 10 a couple of times.